If you’re like me, you like to do as much electronic transactions as possible, it means carrying less cash and also being able to study your behaviour. Living in the US that’s not as easy as it was in NZ, the banking system is very outdated, for example when I pay my rent I log into TD Bank, hit bill pay, they then print a cheque and send it to my landlord. Nuts! 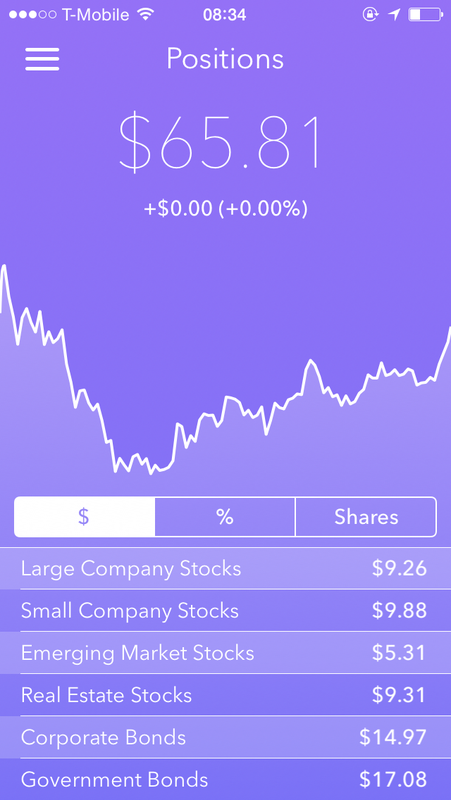 That aside, I’ve been playing with Acorns, which is a little app that pulls in your transaction data and rounds up each transaction to the nearest dollar, then once it hits $5 it will scoop that up and put it in savings. Now it is automatically invested, in a fund of your choice. I’ve been doing it for around 6 weeks give or take and saved about $66. Not the most amazing amount but it is an automatic behaviour which happens in the background. It’s like scooping up a small amount here and there which isn’t noticed and then over a year will add up. My current strategy is to build that up, then at regular intervals I’ll scoop the money out and put into my other long term investments. As whilst it’s nice you earn interest on it the options aren’t that great. Nonetheless a great little app and a way to build more automated savings into your life. This entry was posted on Thursday, November 6th, 2014 at 9:07 am.